Sponsored Post: This post has been generously sponsored by 4moms, but all content and opinions are entirely mine! We actually didn’t even own a rocking chair or glider of any kind until R was two months old, and that was a terrible idea. Making the rocking movement yourself for hours on end is super fun and easy. Said no mother ever. 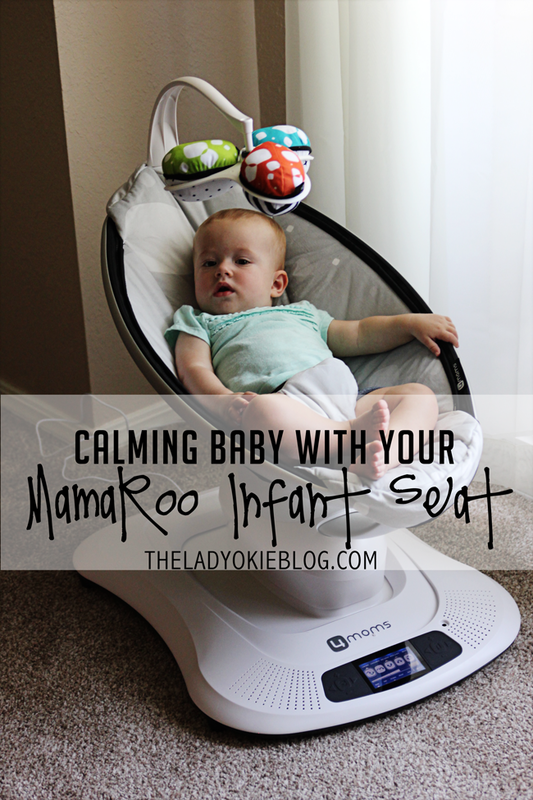 I loved the mamaRoo from the beginning because was so easy to put together. I once bought a cheap bookshelf from Walmart and put it together backward. Then I took it apart and put it back together. Backward. Basically what I’m saying is I’m terrible at building things, and I was able to put this rocker together by myself in under ten minutes while Jordan watched me with a dubious look on his face. The box also comes with repacking instructions, which I appreciated since we will be boxing this up soon and saving it for another installment of Baby Bum 2.0. The mamaRoo infant seat operates off the idea that the bouncing and side-to-side swinging motion of typical baby swings is not going to be as soothing to a newborn baby as the more gentle motion that the mamaRoo provides. There are 5 settings with a few different speed settings so you can go as fast or slow as the baby needs, which would be great when a baby wanted a gentler motion or something faster. When we strapped R in, she was being a little fussy at first, but once it started moving she stopped and stared at us like, what is this thing? She even played with the mobile a bit and was smiling and waving. I really wish I would have had this when she was a newborn because I think she would have liked it. There is a "car" motion setting that would have been nice. R has always done really well in the car. 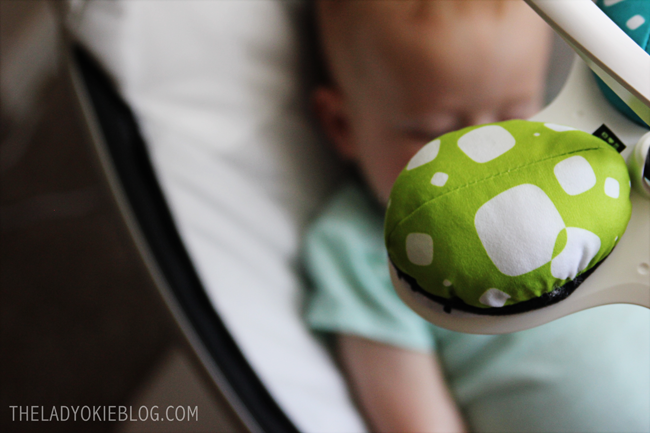 There is a mobile that can be attached to the top, with 3 soft “orbs” that can be rotated for contrast black, white, and colors to help your baby’s vision and brain development. The fabric of the seat itself is suuuuuper soft. Two thumbs up! The one I got was the plush grey, but they also have a few other color options for you to choose from. Check out the mamaRoo product page by clicking here. The mamaRoo infant seat doesn’t take up very much room and looks sleek. It was also light, with made it easy to move around if I needed to. I was worried that R would be too big for it, but the weight limit actually goes to 25 pounds, and although her legs stuck out the end a bit, she fit okay! That said, she is too big for the seat from a developmental standpoint. You really can’t use this infant seat once your baby is able to sit up unassisted (and it does say this clearly in the instructions, but I wanted to get some pictures of R in the seat for this post). I do wish this had the option of using a five-point harness to strap an older/bigger baby in than just the three-point harness. 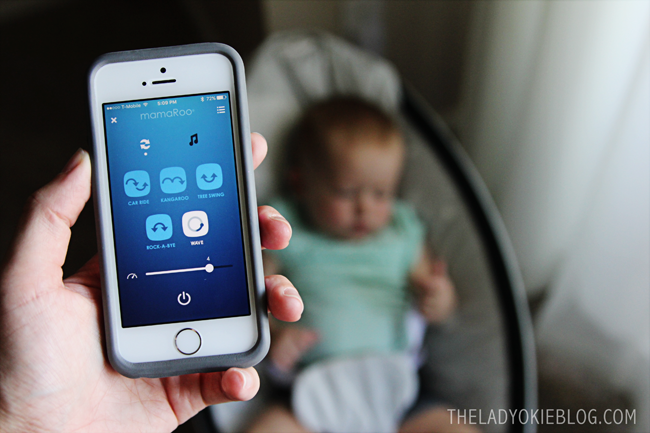 One fun feature is that you can download the 4moms app to your phone and sync the mamaRoo infant seat through Bluetooth. I was able to control the sound, volume, motion, and speed all through my iphone! I can even turn it off and on just by touching a button. Especially in those early days (or weeks) when I didn’t want to move very much, this would have been awesome to be able to control the seat from across the room. The seat has to be plugged into an outlet to operate, and I like not being forced to use batteries because I’m sure this thing needs a lot of juice. We have several outlets handy, but I will say that I do wish it had the option to use batteries if I wanted to temporarily put it somewhere there wasn’t an outlet. Or, Jordan suggested maybe the option to charge it and then use it without needing to be plugged in. Maybe a suggestion for a future model? I would have loved to have this seat when R was a newborn, and I am excited to use it for our next baby! I love the option to control the settings from my phone. I love how it looks and how compact it is. I love how soft it feels and the different settings for how it moves. 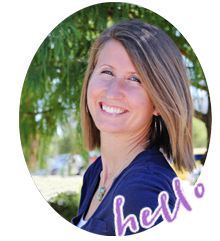 I would love to hear from you if you have any experience using the mamaRoo infant seat, or any other baby rocker or swing. Do you have a favorite? What is a function about the mamaRoo that appeals to you? 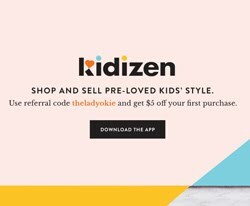 What is a product you didn’t have with your first baby that is/was a “must-have” for your second? 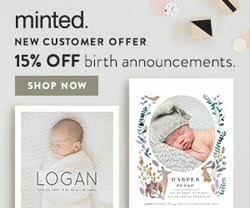 Click here to sign up for the 4moms email subscription to get inside deals, info, and baby tips! And check out the mamaRoo infant seat for yourself here on their product page. I absolutely love the mamaroo....love the sleek design, neutral colors, and of course love all the features....I just wish one of babies liked the swing, they didn't care for any swing--ever (or the car for that matter). 😜 My friends have really enjoyed it though! I really do think R would have liked this as a newborn! But all babies are different, which is frustrating because how do you know they will like it until you've tried it out? I love how honest you always are! I know this is a "hot item" for new babies so its good to see what you liked/didn't like about it. Keeping this in mind for the future! I tried to be honest about pros and cons, because this is an expensive infant seat, and I would want to know more than just a raving review if there were things I would change about it. But I love how lightweight and small it is, and the seat is so soft. I really think R would have loved this as a newborn, but she is much too big now. She kept wanting to sit up and dive off the front. ha! Okay, I cannot believe you had no infant seat or bouncer. This thing is going to rock your world when you have number two, especially since you'll be busier keeping R alive and entertained and stuff. I've always been intrigued by this because the concept is really smart, and I'm surprised to hear that it's lightweight. I imagined it would be a beast to lug around all over the house. Plugging it in is kind of a bummer, but there is always a price to pay for peace, amiright? Okay but for real what did you do with R when she wasn't in her crib or your arms? Did she just hang on the floor (like the quadrillions of other babies who weren't born in America in the last twenty years)? So I guess I lied, now that I think about it. We do have an infant seat that we got from Target for about $40, but it isn't mechanical and doesn't rock on its own. I had to push it with my foot to rock it, and it often made my ankle cramp up. We laid her on the floor on her activity mat a lot or held her... I don't really know! It's all a blur kind of now. Good grief. The mamaRoo is really lightweight! I didn't feel like I was even straining to pick it up. I appreciate your honestly with your pros and cons. I contemplated putting a mamaroo on our registry but I just can't fathom the cost of it when I can get a rock n play and a swing for less than the cost of one of these. I think they look really nice and if I had more disposable income I would probably get it. I completely know how you feel. It is pretty expensive, but if I got it as a gift, that would be awesome! I really wish we had had one of these when R was a newborn. I love how sleek it is and it really doesn't take up a ton of space! Jerry and I wanted one of these so badly for Caleb and even went to look at them, but then we figured out we were too late to the game. We waited too long because of the price, and he was just too big by then. Definitely something to consider for a newborn though! I know Gracie would've loved this, but the price tag made me throw up a little. We borrowed a rock n play from some friends, and it SAVED OUR LIVES, although rocking it with my food got old super fast. Next time, I'm totally getting a swing secondhand because I'm cheap (though I will probably be on my hands and knees praying someone gives us this). I think this would've done wonders those nights Gracie wouldn't stop screaming and we walked laps around the living room with her in the stroller. Ugh. I don't miss those days. Or nights. FOOT* although, if my food could rock a baby, I'd be down with that. i always wondered if swings and such were actually useful or people were just trying to get me to buy stuff lol so i am glad you say they are and you want to use this for #2. i agree about the price, definitely sticker shock there, and odd that they wouldn't add the 5 point harness if it would make it so you could use it longer... weird. You'll have to revisit this whenever the next babe comes along! We got a swing (someone bought us one that wasn't even on our registry, ha!) and it ended up being a LIFESAVER because Jack loves moving. I'm so thankful that he can still use it because of the 5 point harness! I have some friends that have these and the boy I babysat had one of these too. I think they can be super useful. I think sometime babies either love these or hate them. Why are babies so particular??? AND I think it is awesome that you got one of these to review. That is super awesome and I think it will come in handy with baby #2.